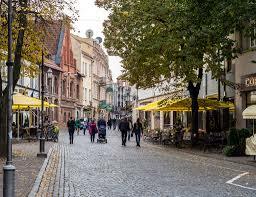 Book cheaper car hire in Palanga Airport, Lithuania - Compare Estate SUV/MPV & 7 seat Minivan rental in Vilnius. 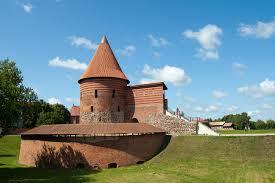 Check here for cheaper car hire in Palanga Airport, Lithuania. The range of vehicles is comprehensive and goes to nine seater minivans. GPS also is optional extra. The car hire companies you can choose from include:- ADC, Add, Budget, Cars Rent, Europcar, Green Motion, Right, Sixt and Trust Car. All these companies discount their prices through us, but you still get the same level of quality, service and cover. Just at a discounted rate. If a VW Jetta is the car you want to drive on your trip, then ADC Rent guarantee you will get a this year model. 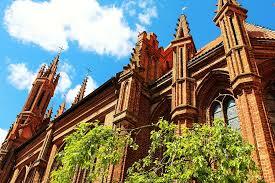 We offer car hire at the three major airports of Vilnius, Kaunas and Palanga as well as in the cities. We also cover Klaipedia. Prices quoted are all inclusive of CDW, Theft Protection, Third party liability, Airport/Location fees, Vehicle License Fee, VAT and Unlimited Mileage. You drive on the right hand side of the road. 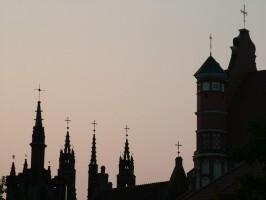 The capital city is Vilnius. About three million people in the country. This was the first former Soviet republic country to declare independence in 1990. This country is a land of lakes, forest, rivers, Baltic Sea beaches and lovely old towns. 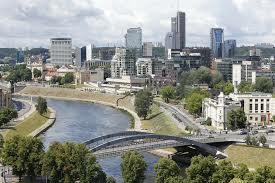 Vilnius is one of these, as is Kaunas. We offer cheaper Palanga Airport driving costs. Lower cost rates for Palanga Airport and elsewhere. Over the year, the weather swings from warm and sunny, to snowy and cold. temperatures of below freezing are the norm, which makes for good winter sports. The local currency in Lithuania is Litas. One hundred US Dollars will get you about 250 Litas. 100 Euros is worth about 345 Lita and 100 UK pounds circa 420. The ski resort of Anykscai Kalita is the best known and the most visited. Need Latvian car hire next? Latvia here.